Pinnacle Interior Elements was founded in 1999 to provide the North American floor covering industry with new and innovative products that were not available from existing domestic or other international manufacturers. Pinnacle Interior Elements has developed a series of proprietary product collections that are manufactured in production facilities throughout the world. 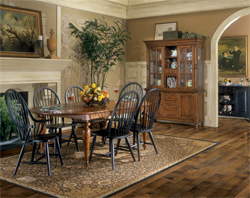 With over 80 years of experience in the floor covering industry Pinnacle's management team is committed to providing its customers with the highest quality hardwood flooring products available. Elegantly beautiful and exceptionally durable, Pinnacle Floors form the foundation of style and design for each room in your home, office or place of business. Rich and vibrant color, underfoot comfort, naturally hygienic, environmentally friendly and easy to care for, Pinnacle wood floors are the perfect solution for those who seek fashion, function and affordability.